A man has been convicted of having no insurance and helmet while riding a folding electric scooter with a top speed of 10mph. 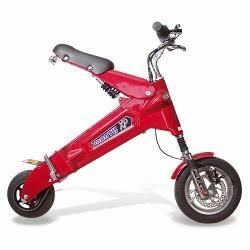 The landmark case means the tiny bike counts as a motor vehicle under law. Paul King, 28, of Yeovil, Somerset, was already banned from driving when he rode the £299 rechargeable City Mantis. He admitted driving while disqualified and had 14 days added by South Somerset JPs.